Don’t forget to comment HERE for a chance to win a copy of a Gooseberry Patch cookbook. The giveaway ends tomorrow at midnight. A Print Friendly Note: I just noticed that on print friendly, if you hover over any part of the recipe you don’t want to print, it highlights and you can delete unnecessary parts. I usually just print the recipe and delete all the other stuff. 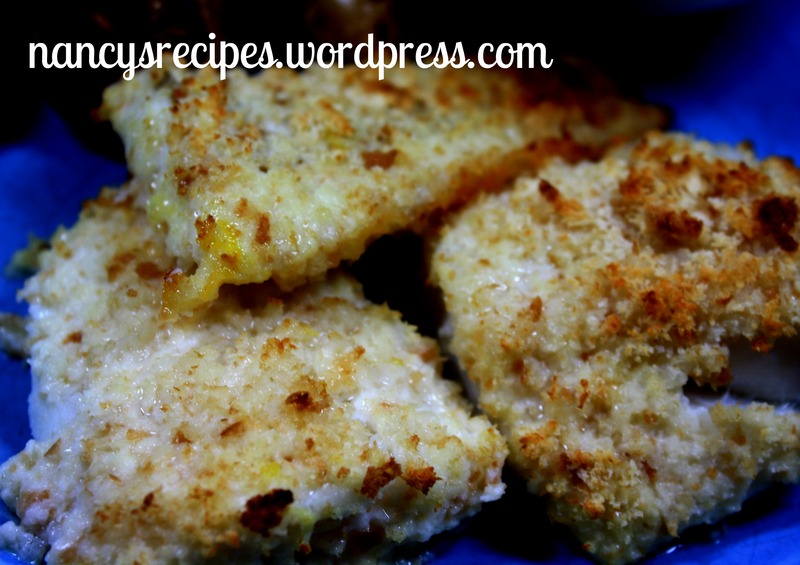 We love fish sticks and I’m always looking for a made from scratch recipe that isn’t fried and I think I finally hit on one we really like. I want to say I found this recipe in a Southern Living cookbook but I’m not positive. I used cod in this recipe but you can use your favorite fish. I like using a thicker fish and we like cod so that’s why I chose it. The recipe is easy and I made my homemade tartar sauce and I also made cocktail sauce by mixing ketchup and horseradish to taste. Mix all breading ingredients together and set aside. Spray a jelly-roll pan with cooking spray then coat the bottom of the pan with the canola oil. I used a brush to spread it over the bottom of the pan. Rinse fish in cold water and pat dry. Sprinkle with salt on each side and cut into strips. Beat eggs, egg whites, and milk in a shallow pie plate until well blended. Place the breading mix in a ziplock bag. Dip the fish into the egg/milk mixture then add to breading bag and shake carefully until coated. Place prepared fish on prepared pan. Repeat with all the fish strips. Bake at 400º for 15-20 minutes or until breaded fish strips are golden. Serve immediately with your favorite sauces. Looks delicious but there are no instructions for the breading mix? Just mix the breading ingredients together and then use. I’ll go fix the recipe ~ thanks for letting me know!